Complete Juice Diet or Full Solid Diet – Which is more beneficial for weight reduction? ‘Diet – Calories – Workout’ is the common terms that one is surrounded with during the course of weight reduction. Before choosing a diet plan or workout routine, it is more important to understand what exactly is weight reduction? So an average man needs 2500 calories and woman needs 2000 calories per day, but to reduce man needs to lose 2000 calories and woman 1500 calories per week. For those who are thinking that weight reduction is just a process of diet control then you need to change your mind. Along with the choice of diet plan it is also important that you work out regularly so that your body can maintains enough stamina with the controlled diet. 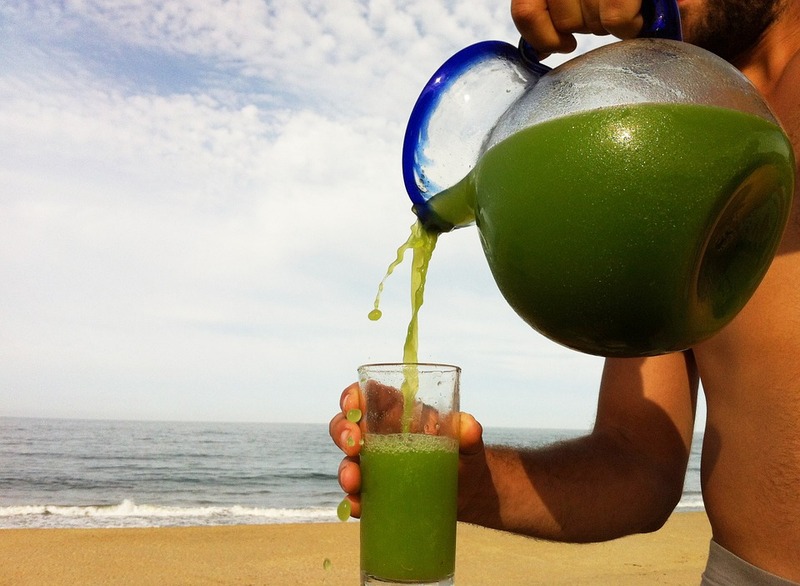 Many people believe that choosing a complete juicing diet helps in cleansing the toxic from the body and reducing weight much faster than having full solid diet. Juicing extracts from fresh fruits as well as vegetables offer you the same amount of vitamins and minerals as whole fruit or vegetable diet. But, the necessary fibres in the whole fruit are lost during the juicing process which is also necessary for proper digestive system. Some of the juice companies offer five to six different types of juices which offers a rest to your digestive system, helps in detoxifying the body and helps in regaining energy after workout. After a juicing diet you may find a sudden boost in stamina but that is because of the absorption of carbohydrate in most of the juices. Moreover, there are different combinations of juices which should and should not be mixed together. So choosing the right mix of juices and fibrous solid diet during workout is more important during workout and weight loss routine. What happens to your body when you choose Juice mix over solid meals? After high intensity workout, your body needs immediate recovery from the minerals and vitamins lost during the exercise. In such case, more than cleansing, your body needs immediate amount of protein diet so that the workout does not negatively impact your muscles. Almost every dietitian who create a diet plan ensure that you get enough amount of protein diet soon after the workout. Following only juice diet will not make you healthier but it may result in loosing muscle over fat. Due to less fiber and protein in juices, it is important to compensate the intake of more protein using whole solid diet and clubbing juices once or twice in a week to cleanse your body. Our body also has a cleansing system which can be boosted by juicing recipe. However, choosing the right mix of juices is also important so that you do not start gaining weight instead of loosing. If you are planning to mix fruits and vegetable mix then it is recommended to keep fruits and vegetable juices separate. Fruits and vegetables have their own importance and vitamins which need not be mixed. The ultimate mix can result into puke-inducing taste that can be difficult to digest. In majority of cases, the reason why weight increases is because of more intake of sugar than needed. Fruits already have fructose which is easily digested by our body. Adding more sugar to the juice will ultimately become better in taste but ruin your one week’s workout efforts. Keeping sugar away from the kitchen platform while juicing is recommended! Simple way to improve your health is to use variety of fruits and vegetables periodically. Using the same mix will not benefit as much as using variety of mixed juices. Vegetables like spinach and cauliflower contain toxins like oxalates which can cause or worsen issues like kidney stone. So keep a schedule for juices combining juices and vegetables for everyday like Monday – Spinach, Tuesday – Orange and Pineapple, Wednesday – Wheat-grass, etc. Before starting on the workout and juicing routine, it is recommended to understand the current requirement of your body. Whether you are looking for more stamina, regain energy, rejuvenate skin tone or recover vitamins or mineral deficiency. It is meaningless to keep your body pumping with the vitamins and minerals which are adequate in your body. The gap analysis will help you choose the right type of juices and amount of juices to be consumed on daily or weekly basis. As mentioned earlier, most of fruit juices contain fructose which offer you immediate boost in energy. The nutrition in the juice is immediately absorbed by the body soon after consuming without wasting any. So consuming juices an hour before your meals will keep you full and help in absorbing vitamins and minerals. Dieticians recommend not eating fruits or drinking juice along with the meals because the acid in our stomach reduces the effect of nutrition compared to the consumption before meals. For better results choosing the right time to consume fruits is very important. Most of the people must have suggested not adding citrus juices in the morning because of its acidic nature. Although citrus fruits are acidic in taste but actually they are alkaline forming foods. If you are taking citrus fruit juices on regular basis then you need not add Vitamin C dosage for your skin anymore. These are some of the most powerful and fabulous combinations that result in great health, faster detoxification and increase stamina with necessary vitamins and minerals. If you need more information regarding the juices and combination or wish to add to the list then keep us posted.